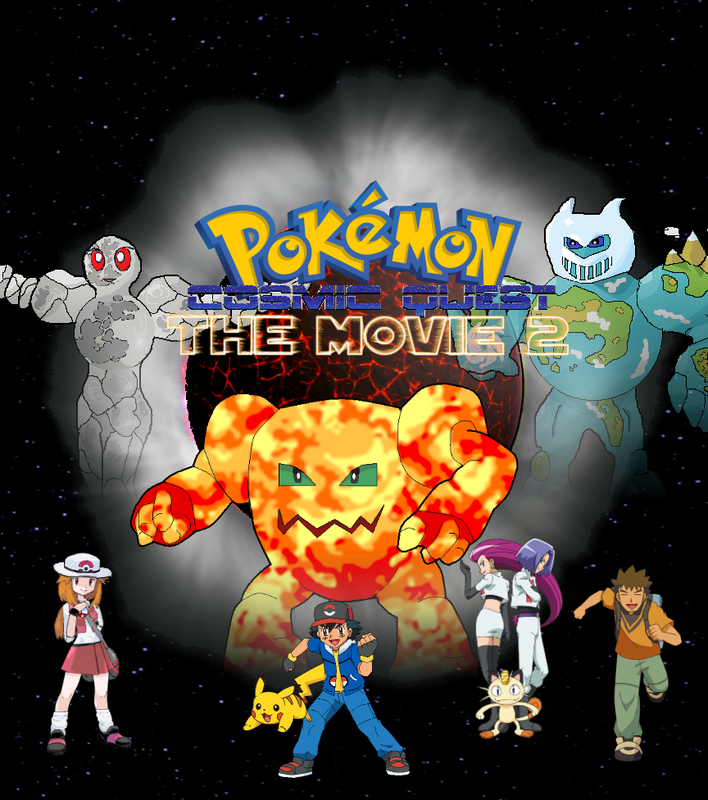 Announcing: Pokémon Cosmic Quest The Movie 2, the anticipated sequel to Myoken, the Guiding Light! Coming soon to a website near you! This exciting movie follows Ash, Brock, and Brenda on an out-of-this world adventure where they meet the Legendary Pokémon Heliosol. Make sure to read the latest episode of Cosmic Quest here. Upon arriving in Crater Town, Ash, Brock, and Brenda spot mysterious lights in the sky. It’s a UFO sighting. Along with a man named Allen, our heroes set off to discover the truth behind these lights. Also, Pokédex page has been updated accordingly. Description: This Pokémon’s extremely thick fur coat acts as an insulator and pressure vessel. Along with its ability extend an air-tight helmet-like extension around its head, this makes it the perfect Pokémon for use in space missions. Trivia: Muttnik was the first terrestrial Pokémon to ever be sent into outer space. The data gathered in these test flights paved the way to Tenno’s first maned space missions. Muttnik is inspired by the real-world dog Laika, one of the first animals to go to space in real life. Laika was sent into space aboard the Sputnik II, hence the name Muttnik. Episode 77 is out and can be read here. When Kappaqueous receives a nasty poisoning that Brock can’t heal, it’s up to Ash to find a special Pokémon that can heal it. And even if he finds it, he has to get it to cooperate too. Also, the Pokédex and Abilitydex pages have been updated accordingly. I’ve just got to say, writing those episodes were an absolute joy. It really gave me an opportunity to pull out all the stops and go all out. I’ve was planning for these episodes for about a year. The idea first came to mind back when I was writing the franchise’s 20th anniversary episodes. I loved writing them so much, that I knew I had to take any chance I could to do something like it again, and I had to top it. I knew that the show came out a year after the games, meaning I had the show’s 20th anniversary coming up, so I started planning for it. My initial idea was simply Ash interacting with Ho-Oh in some way. I also wanted to do some sort of tribute to the first episode. The two ideas naturally developed into a time travel episode, and from there, the idea took on a life of its own and slowly grew to the state you saw it in. The idea of having the Celebi that sends Ash back in time be the Celebi contained within the GS Ball was actually a very last minute development that came to me while I was writing the episodes. For those who don’t know, the GS Ball, which appeared in the show throughout the Orange Islands and the beginning of Johto, was originally planned to contain a Celebi in it, and was going to have an entire arc based around that Celebi. However, the decision to put Celebi in the movie Pokémon 4Ever led to that plot being removed from the main show. So the GS Ball was left with Kurt and forgotten about. I figured that a 20th anniversary special would be the perfect opportunity to finally resolve the GS Ball’s plot. As far as this episode’s interactions with the past go, I actually re-watched the first episode a month ahead of time, and took note of every single unexplained event, and worked those into my plot. The two main examples being when Ash wakes up late and the thunderstorm. The problem with the scene with Ash waking up late, is that there is a crashing sound that wakes him up. They then show his broken alarm clock, inferring that it is him throwing his alarm clock that wakes him up. However, just before this scene, still in the middle of the night, the alarm clock is shown rolling into his hands in one scene, and then the next he in a post-throw position, inferring that he’s already thrown it. So if he threw and broke it in the middle of the night, what was the crash that woke him up? Apparently it was his future self and Cinder fighting. The thunderstorm has always irked me. The sky is completely blue, but out of nowhere, ominous storm clouds roll in and a thunderstorm starts. Where the heck did the storm come from? Since this is the Pokémon world, obviously a Pokémon is the answer. And since I’d already made a move that summons a thunderstorm, it seemed like the perfect solution. As great as this episode was, I still had some disappointments about it. The biggest being the lack of Misty and Brock. Well, Brock technically had a few lines, so it was really just Misty. Sadly, there was just no way I could give Misty a role without messing with the canon. I just couldn’t make it happen. Brock would have been even harder to give a more substantial role, as he was far off in Pewter City. The other thing I really wanted to do was get the flock of Spearow that attacked Ash and Pikachu to play a role in this episode. My original idea was to somehow have Ash trick them into attack Fenghuang. This idea didn’t work out because the parallel placement of events meant that the Spearow were chasing past Ash at the same time present Ash was battling Fenghuang. Finally to talk about, there’s the characters of Cinder and Ember. Having the children of Ash be the guest characters of this episode was also a relatively late development, but it worked wonders for the episode. I figured that if Ash really did become a Pokémon Master, then his children would probably treat him in one of two ways. Either they would worship him as a hero, or they would resent him and seek to step out of his shadow. The was the basis for the two characters. Through Ember’s eyes we saw her experience her father in a way she could never imagine, a time before he was “perfect.” Through Cinder’s we saw a more critical view of Ash and his current character. There’s way too many for me to discuss here, but I loaded these episodes with various reactions, actions, and words by these characters that can be analyzed to see a window into Ash’s future. This is no April Fools joke. Today is the anime’s 20th anniversary, and here’s an epic two part special episode to celebrate. Read part one here and part two here. The future is at stake when a madman gains the ability to time travel, and destroys Ash’s past. Now the only way for Ash and Pikachu to save everything they know and love is to travel to the past and protect the future. It’s an epic adventure 20 years in the making! Happy 20th 10th birthday, Ash! Also, the Attackdex has been updated accordingly.